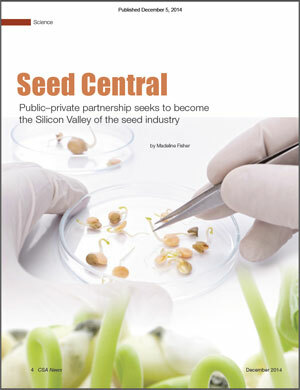 Seed Central is a public-private partnership. Its purpose is to energize the seed and agbiotech industry cluster surrounding UC Davis and to contribute to the economic development in the region and beyond. Seed Central facilitates communication & research collaboration between the seed and agbiotech industry and UC Davis in order to bring science to market faster. 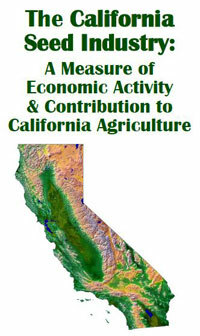 UC Davis is a world leader in seed, plant and agricultural sciences. Some 100 seed and seed-related companies are located near UC Davis and benefit greatly from its proximity, but the influence of UC Davis extends throughout the USA and far beyond. Established in 2010, Seed Central is an initiative of the Seed Biotechnology Center at UC Davis and SeedQuest, joined by a growing number of companies and organizations in the global seed and agbiotech industry. Read the article about Seed Central in CSA News, official magazine for members of the American Society of Agronomy, Crop Science Society of America, and Soil Science Society of America. ensure that the region retains its preeminence in the rapidly growing field of competing seed and agbiotech hubs. The technology is expected to speed up the process for developing new varieties of potatoes, rice, citrus and other crops that are better equipped to tolerate heat and drought, produce higher yields and resist a myriad of diseases and pests.